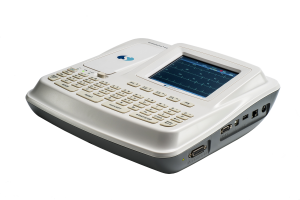 Spacelabs Resting ECG solutions are designed to support your need for flexible but powerful solutions to cater for the unique needs of your patients within your clinical setting. Spacelabs Resting ECG product solutions run from the new high-end true 18-lead product supporting 18, 15 and 12 lead ECG, the mid-range 12-lead device, to the highly portable six channel recorder. Whatever your diagnostic ECG needs, Spacelabs solutions are scalable and customizable to fit your unique requirements. 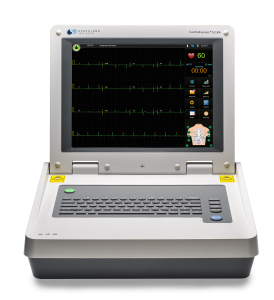 True 18-lead ECG coupled with advanced features, waterproof sealed keyboard and a 15” intuitive color touch screen interface make the CardioExpress SL18A capable of meeting advanced diagnostic needs in tough and sterile environments. The product supports 18, 15 and 12 lead Resting ECG with battery operation. This true 12 lead Resting ECG device features a 12” color touchscreen and a powerful suite of the most widely used features allowing the CardioExpress SL12A to handle your day-to-day diagnostic ECG requirements without sacrificing on diagnostic quality. 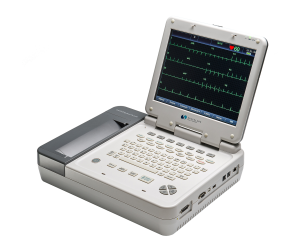 A truly portable and lightweight design allows the CardioExpress SL6A to provide you with a cost-effective solution for your diagnostic ECG needs in routine checks or emergency cases.